In January, after receiving this deluge of data-rich proposals, Amazon trimmed its list to 20 cities for further examination. “Getting from 238 to 20 was very tough—all the proposals showed tremendous enthusiasm and creativity,” an Amazon executive noted in a statement at the time. Chicago is also the city with the longest, hottest streak of country-leading corporate growth, which was foreshadowed somewhat by Boeing’s choice to leave Seattle for Chicago. ‘Sweet Home Chicago‘ is internationally known as the birthplace of the blues, a music style that developed following the Great Migration, in which six million African-Americans escaped poverty, persecution and environmental disasters by moving out of the American south to the abundance of jobs and relative equality in the industrializing north. Many of Chicago’s historic neighborhoods are still intact, giving it an extremely diverse housing stock. Ukrainian Village, Greektown, Chinatown, Little Italy and Pilsen (Chicago’s historic Mexican American neighborhood named the #1 coolest neighborhood in the world this summer by Forbes) are just a few shining examples of the brilliant quality to Chicago’s character that it has somehow managed to maintain, even as urban growth drained the cultural energy out of many U.S. cities during the last century. Roughly 9 months before Boeing made the destiny-altering move, it struck the company’s CEO that Boeing needed to move its HQ to fit a larger strategic shakeup. He immediately ordered a secret site selection process for relocation to begin. Boeing’s world headquarters would move out of South Seattle, though most of its Washington-based operations would remain. ”Our decision to move was a strategic business decision,” Boeing CEO, Philip Condit, said in announcing the decision on the tarmac at Midway Airport in Chicago. ”We believe that having a headquarters separate from any of our businesses will help us grow.” Boeing officials cited numerous other factors considered in choosing Chicago, including its transportation, education and quality of life. But it was ultimately his decision. Then, as with Amazon now, Boeing’s site selection process remained in the dark up until the morning Chicago city officials received an early telephone call. If leaving Seattle was a shock, so too was Boeing’s selection of downtown Chicago. Whereupon Boeing’s CEO flew from Seattle to Chicago the same day to make the announcement on Midway’s tarmac. ”In the end, I said, ‘I’ve made my decision, we’re going to Chicago,’ ” Mr. Condit said. 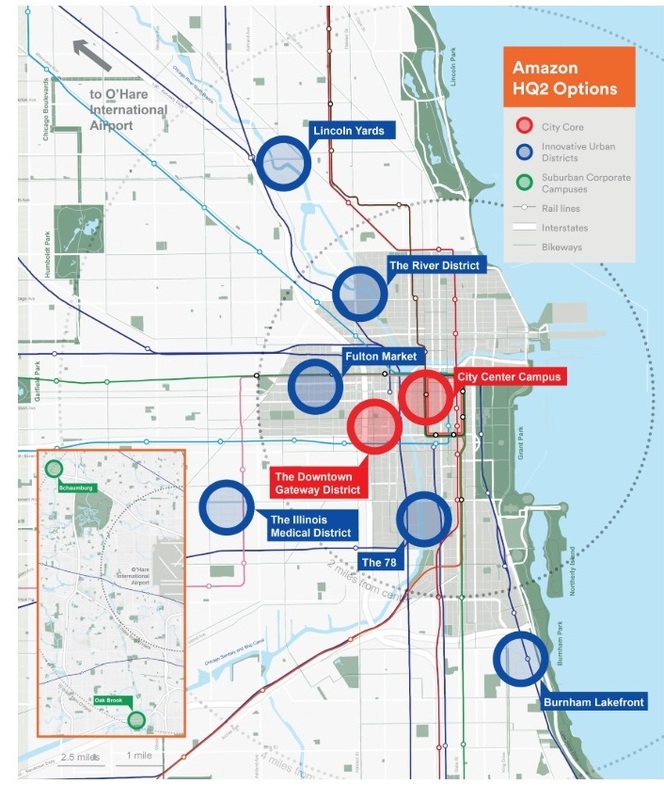 The site offered unparalleled commuting optionality throughout Chicagoland with easy walkability to both major downtown rail stations, Union Station and Ogilvie Station—Chicago’s other major downtown rail station offering regional service. It was also strategically located roughly equidistant from both of Chicago’s major airports, Midway and O’Hare International. And, by car, Boeing’s new home sat on the western edge of the urban core, which is closest to interstates going in all directions. By foot, it was a short walk to the heart of downtown’s dense office cluster and the many other companies Boeing’s new HQ might be calling on, or vice versa. 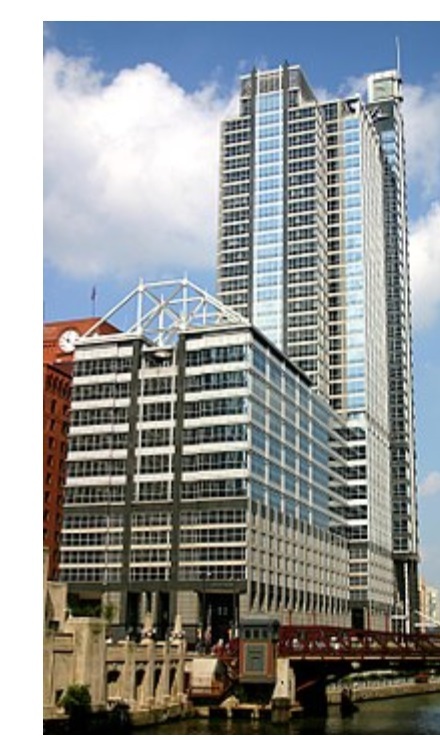 Among all its location advantages, the new home of Boeing’s corporate brain at 100 North Riverside Plaza also happened to be just across the river from the Lyric Opera, which Mr. Condit and his wife thoroughly enjoyed. The Condit’s are passionate patrons of the performing arts and made numerous cultural investments and donations. Mr. Condit was an Eagle Scout and has been described as a brilliant engineer who rose to become a well-liked CEO by thriving in Boeing’s meritocracy for more than 35 years—and still loved after being let go. He was also known as a hands-on philanthropist, who offered his business acumen readily to worthy causes and once helped to rescue Seattle’s ACT Theatre in its relocation from Queen Anne to downtown Seattle. Years later, immediately before he was let go as Boeing CEO barely two years after moving its HQ to Chicago, the Condit’s made a surprise donation of $500,000 to Seattle’s ACT Theatre—even though they were living in Chicago. So, it’s a strong possibility that Chicago’s world class theatre scene was an effective selling point in the Condit household. 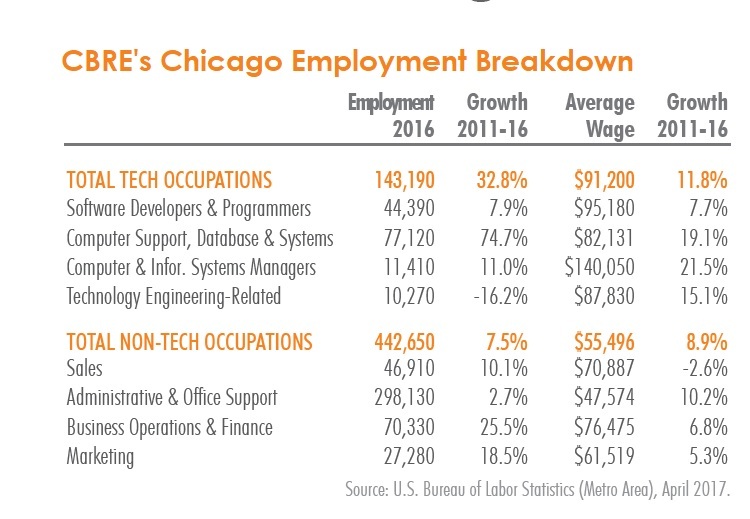 And its abundance of performing arts, culture and other downtown amenities was a major selling point for the city of Chicago in its pitch for Boeing, and one it can make strongly on the back of a portfolio of world class institutions and centers. Chicago is thought by many to be the theatre capital of the nation. It is the birthplace of storefront theatre and improv comedy—and today the famous Second City continues to produce some of the country’s most beloved talents. Chicago also boasts more world premieres than any other city in the country by virtue of its 250+ theatre companies taking the stage in the city’s more than 200+ theatres. Theatre-goers in Chicago can choose from thousands of widely diverse performances each year in multiple languages and diverse venues ranging from the grand historic downtown theatres to the many more tucked away in neighborhood storefronts. Boeing’s new Chicago HQ lay a short walk over the river to Chicago’s magnificent Lyric Opera and mere blocks from its theatre district. Mr. and Mrs. Condit could have chosen worse. When Boeing’s secret HQ site selection hunt proceeded to its more competitive stages and its scouts and executives got boots on the ground, Chicago’s rolled out the red carpet in an attempt to convince Boeing to pick Chicago over other top choices, Dallas and Denver. Chicagoland’s corporate community rallied with city and state officials in a full court press to make the business case. Chicago’s formula for success lay in its history of dynamism and can-do attitude. Unlike most other larger cities in the Midwest, Chicago’s economy is multidimensional, and it largely avoided the trap of monoculture economic development that plagued so many of its Great Lake counterparts, e.g. Detroit. According to Site Selection magazine’s Conway Project Database, last year Chicago landed more than twice as many corporate facility investments compared to second place (402 vs. 196 in Houston). But this project tally was slightly down from 2016 when Chicago racked up 424 major corporate investments, which was higher than its marks of 376 in 2015 and 385 in 2014. All good enough for Chicago to lead the nation in each respective year. Structural skeleton of Google’s office in Chicago’s Fulton Market neighborhood, triggering an office boom along with city transit investments. This year it was suburban stalwart, McDonald’s, that relocated its HQ and Hamburger University to downtown Chicago’s hot West Loop/Fulton Market neighborhood. But as big of a move as that would be for any community on its own, McDonald’s is merely one in a historic series of corporate investment into Chicago that has created tens of thousands of jobs and billions of investment dollars in recent years. Many industry segments are thriving, but technology is driving substantial growth on Chicago’s “Silicon Prairie.” It’s building a reputation for having its own winning recipe for startup incubation and business investment. And the results to back it up. Chicago’s biggest business incubator, 1871, is ranked first in the world on the 2018 UBI Global list of Top University-Affiliated Business Incubators. Inspired by the year of the Chicago fire, 1871 has had a tremendous impact on the local tech scene and helped to fuel Chicago’s corporate boom since opening its doors in the old Merchandise Mart in 2012. Home to eight university partners with a number of accelerator programs and early-stage venture firms, 1871 hosts over 1,000 events a year, graduates hundreds in coding, design, and cybersecurity and 1871 companies have raised over $280 million in funding and created over 8,000 new jobs–enough to launch one of 1871’s founder, J.B. Pritzker, in a successful bid for Illinois Governor. So, Chicago has built a kind of development dynasty with respect to corporate investment in recent years. And it’s positioning itself for success in the future. 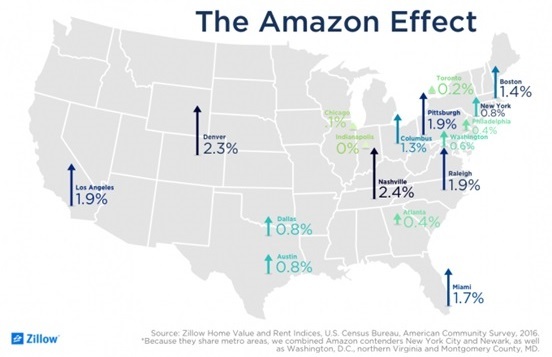 This is a major reason why Amazon was back to Chicago for additional visits and it’s such a strong candidate. 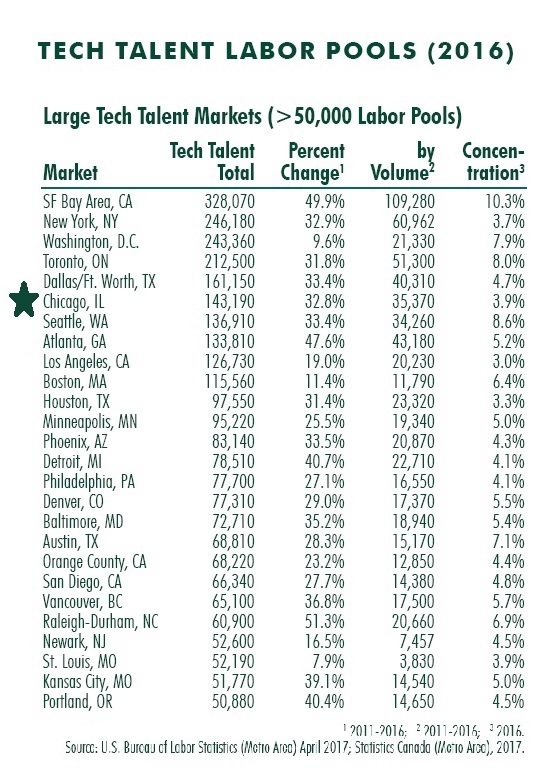 And also why Apple has been looking under the hood in Chicago for its own corporate HQ expansion. It took a series of incredible civic mobilization and civil engineering achievements to build the canals, railroads and infrastructure that made Chicago the North American interior’s greatest city. 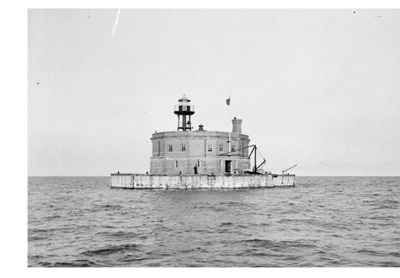 To alleviate chronic and deadly health complications as a result of environmental pollution in the way, Chicago began planning to dig under Lake Michigan before the Civil War. By 1866, the first tunnel dug 2 miles directly east, headlong under Lake Michigan, was completed by men digging through clay pulled away in carts by mules. It was dangerous work, but Chicago needed clean water and it needed to pull it away from the polluted city. Also, thanks to the big-shouldered civil war generation, anyone walking through downtown Chicago is doing so on the second floor. 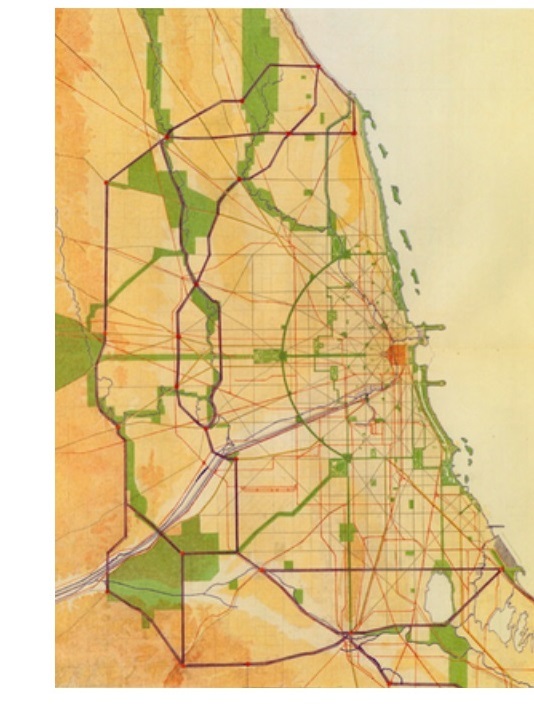 Throughout the 1850’s and 1860’s, endeavoring to find more permanent solutions to manage its water challenges, engineers in Chicago underwent a piecemeal process to raise the first level of Chicago’s entire city center, known as “the Loop” today. In 1856, the city’s Common Council adopted engineer Ellis Chesbrough’s plan for a citywide sewerage system, whereupon workers laid new drains, rebuilt roads and raised sidewalks to the new grade. In 1900, Chicago reversed the flow of the Chicago River through a series of man-made hydrologic connections between the Great Lakes and Mississippi watersheds using a series of canals and locks. Chicago’s more recent Deep Tunnel Project, a long term effort to build a series of massive reservoirs able to divert storm water and store sewage in order to reduce flooding and minimize the harmful effects of flushing raw sewage into the watershed, is just the latest in a series of mega civil engineering projects in Chicago’s battle to master its bluefields—a score on which Chicago fares much better than any of its coastal competition, at least from a risk management perspective. The city’s official motto since the 1830’s has been “Urbs in Horto,” which is Latin for “City in a Garden.” The City of Chicago devotes ~8.5% of its total land acreage to parkland, one of the highest shares in the country, with much more land in parks and preserves nearby in greater Chicagoland’s historically rich farmland and wet prairie. Chicago also possesses more green roofs than any other U.S. city, with over 5 million square feet. And Chicago’s Garfield Park features one of the grandest conservatories in America, with one of its largest greenhouses. 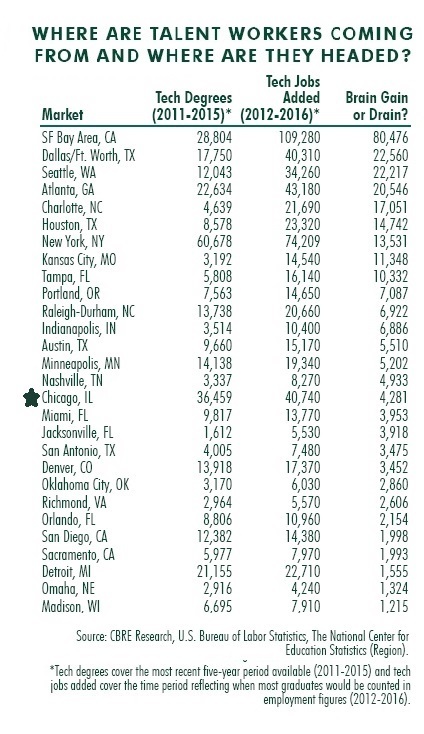 In total, Chicago has more than 600 parks. The Chicago Park District manages 220 facilities on its more than 7,600 acres throughout the city, which includes nine lakefront harbors spread over 24 miles of open lakefront. In fact, the Chicago Park District is the nation’s largest municipal harbor system, along with 31 beaches, 17 historic lagoons, 86 pools, 90 playgrounds, 90 gardens, 9 ice skating rinks, 10 museums, a zoological park, and two plant conservatories. As an amenity, the “North Coast” is truly an American treasure. Like much of the city itself, many structures in Chicago’s park system possess exceptional architectural value. Famous architects, artists and landscape architects, including Frederick Law Olmsted, Jens Jensen, Dwight Perkins, Frank Gehry, and Daniel Burnham, contributed their brilliance to the construction of Chicago’s park system. Portage Park and Jefferson Park are each listed on the National Register of Historic Places. Most of Chicago’s park fieldhouses are varieties of either Georgian or Classical Revival architecture, many designed by Clarence Hatzfeld. More recent achievements include Millennium Park, with free admission and award-winning accessibility where billions of selfies are taken in front of Chicago’s famous “Cloud Gate” sculpture (the Bean, shown right). Constructed atop a commuter rail station (Millennium Station) and parking lot, Millennium Park is the world’s biggest rooftop garden. 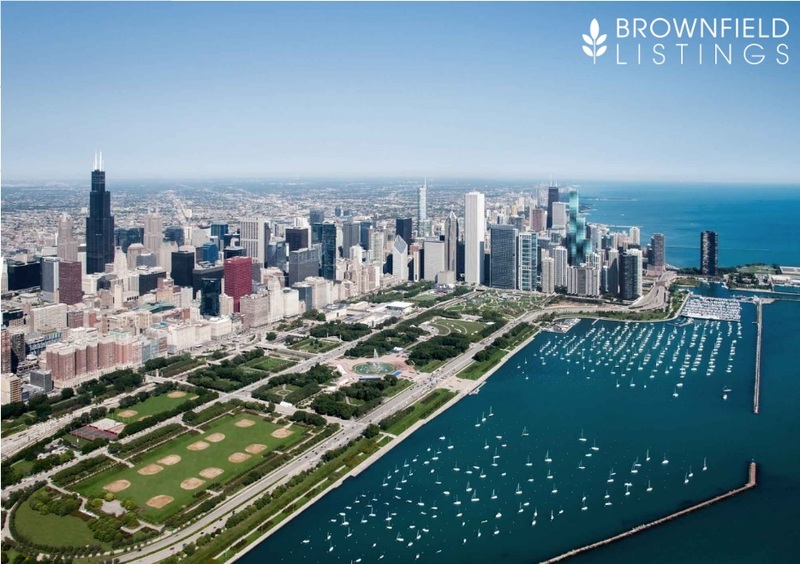 It spans the northwestern 24.5-acre corner section of historic Grant Park on the Lakeshore. 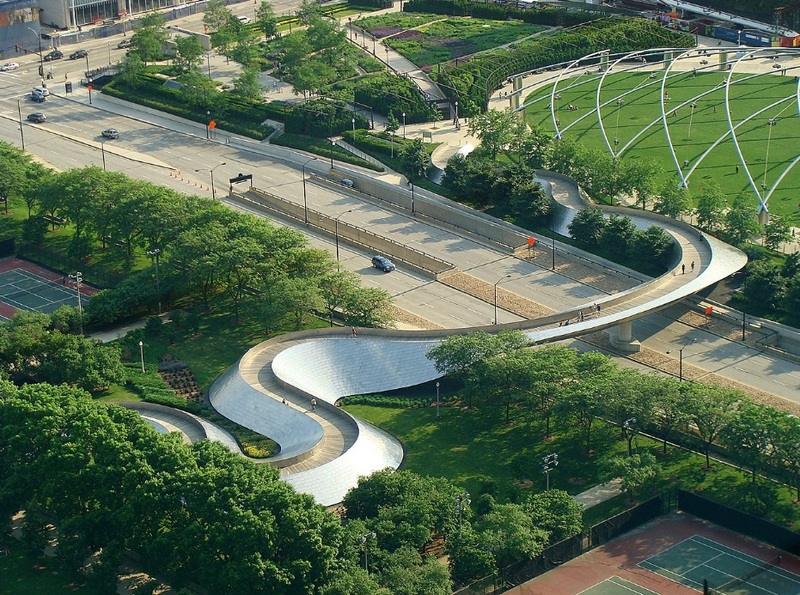 The rooftop park is connected by the BP Pedestrian Bridge and the Nichols Bridgeway to other parts of Grant Park. And it was a significant redevelopment achievement, turning land previously occupied mostly by ugly rail yards and parking lots into perhaps the city’s crown jewel—by literally crowning the most beloved and useful space in a massive elevated redevelopment—years before the Highline redeveloped an abandoned railway in New York. 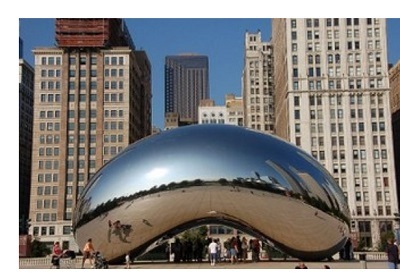 How beloved and useful is Millennium Park to Chicago? It is now the top tourist destination in Chicago as well as the entire Midwest in 2017, surpassing long time #1 Navy Pier (not too far from Millennium Park). And not too much further north is Lincoln Park, Chicago’s largest park, which is also one of the county’s most-visited parks because it attracts over 20 million people each year. A major attraction there is the 35-acre Lincoln Park Zoo, which was founded in 1868 and is one of the oldest zoos in North America. It is also one of America’s last free zoos. Today Chicago is leading on multiple fronts, including green roofs, green buildings, TOD and Pedestrian-Oriented Development (POD)—that includes extensive bicycle infrastructure investment in recent years. Chicago maintains over 300 miles of official bike lanes, 13,000+ bike racks as well as a 40-acre bike path specifically for BMX and trail-riding. Since 2011, Chicago has added more than 115 miles of protected bike lanes, 255 miles of on-street bike lanes and 5 miles of off-street trails. Most recently, Chicago began redesigning its urban core with dedicated bus lanes and more protected bikeways with their own street signals. 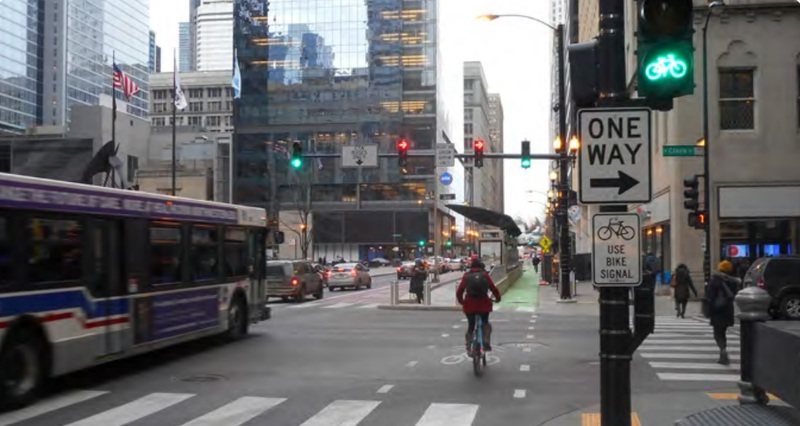 New dedicated bus lane and protected bike lane with its own “bike signal” in downtown Chicago. Among other awards in recent years, Chicago was named America’s Best Bike City by Bicycling Magazine in 2016. Chicago’s decision to embrace alternate modes of transit, with pedestrians as a key orientation, has given more options to residents and tourists alike. By investing in greater transit optionality and pedestrian infrastructure, Chicago has enhanced its already excellent walkability and extended its green lead, while simultaneously enhancing its quality of place, making it safer to bike in the city and improved access for everyone in Chicago, regardless of age or transit insensitivity. Seizing of Burnham’s highest ambitions for Chicago’s built-environment, the city’s latest achievement in the new age of urban amenity is known as the 606 Trail or Bloomingdale Trail. The elevated, abandoned rail line was reborn in a $95 million pedestrian oriented development that is roughly 3 times longer than the Highline. 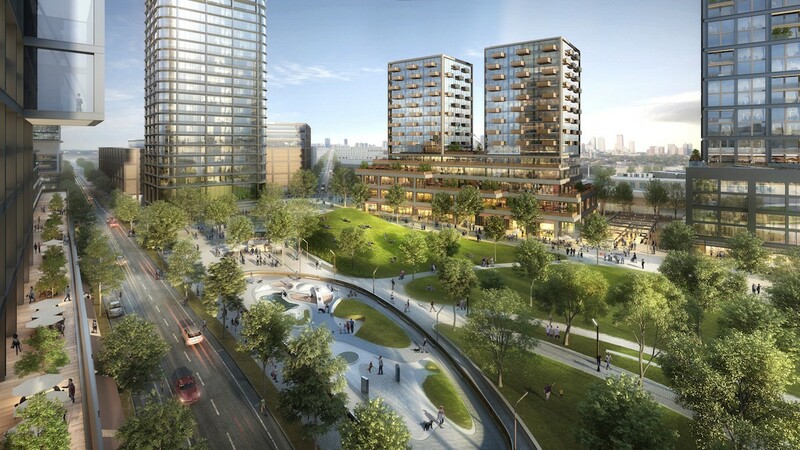 The 2.7-mile elevated park runs east-west through four vibrant, Chicago neighborhoods with an expansion already planned that will include 32 acres of linear park space at the trail’s present terminus along the Chicago River (more on that below). Michael Jordan said he liked Chicago because it was a blue-collar town. Its people were like him, they worked hard and took pride in doing it. Throughout its history, industry after industry have come to Chicago, scaled and thrived. And so, for generations, millions of hard-working people have migrated to Chicago to take up work. Mark Twain might not have believed that Chicago and not St. Louis was today’s North American megacity, but such was the dominance of rail and related industries in Chicago, including meatpacking. Later, Chicago became a mighty merchant city. For a generation, Chicago-based companies like Sears and Montgomery Ward dominated the retail business through mail order and other innovations. The era of big department stores and mail order catalogues came and went, but the busts of Chicago’s prominent merchants line the Chicago River in front of the Merchandise Mart, which was the largest building in the world with 4,000,000 square feet under roof, when it opened in 1930. 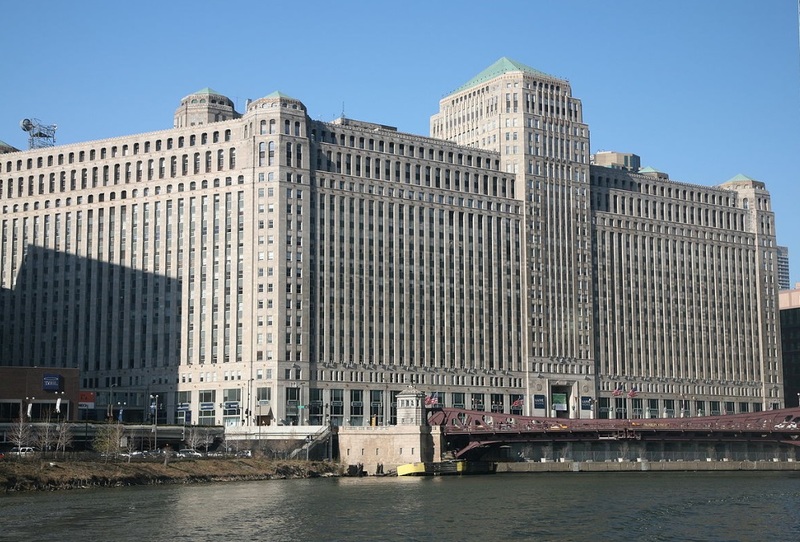 Should Amazon fly its merchandising flag in Chicago and take up its legacy of mercantile leadership there, perhaps Jeff Bezos will get his own bust in front of the Merchandise Mart someday. While Atlanta benefits from having the largest airport in the world, Chicago has two major airports with passenger service and a third large airport. Its biggest and best known is O’Hare International Airport (ORD), which is located on the city’s far northwest edge, 14 miles from the Loop. Innovative for its time, O’Hare’s design pioneered elements such as concourses, direct highway access to the terminal, jet bridges, and underground refueling systems. The first major airport planned in the post-war period, ORD became famous as the first “World’s Busiest Airport” of the jet age and remained so from 1963 to up until 1998. Today, ORD is the world’s sixth-busiest airport and served nearly 80 million passengers in 2017. O’Hare is unusual in that it serves as a major hub for more than one of the three U.S. mainline carriers; it is United’s largest hub in both passengers and flights, while it is American’s third-largest hub—but air service to Chicagoland is served by two additional major airports. O’Hare’s air-cargo business is flying high too. Meanwhile, to the southeast across the Indiana border, Gary/Chicago International Airport (GYY) is not a big commercial passenger airport, but a large joint civil-military public airport in Gary where a National Guard installation has been built. Located 25 miles from the Loop, it benefits from excellent access to nearby interstates I-90, I-80, I-94, I-65 as well as the Chicago Skyway. GYY bills itself as Chicago’s “third airport” and numerous businesses, including Boeing, Menards and White Lodging Services, base their corporate aircraft here. Its administration is presently courting airlines aggressively thanks to the recent completion of its runway expansion from 7,003 to 8,859 feet after 50 years of negotiation to relocate nearby railways. But perhaps the most exciting airport and transit related news this year in Chicago came from Elon Musk securing the contract to build a new tunnel from downtown to O’Hare. Mayor Rahm Emanuel approved the Boring Company’s ambitious plan to dig and construct next generation subterranean high-speed rail service. While there are doubts about Mr. Musk’s highest ambitions for his boring company—to create a massive interconnected continental rail system—Chicago’s stable clay soil is likely the perfect subsurface environment in which to try, much as it was for skyscraper innovation in Chicago during a past age. 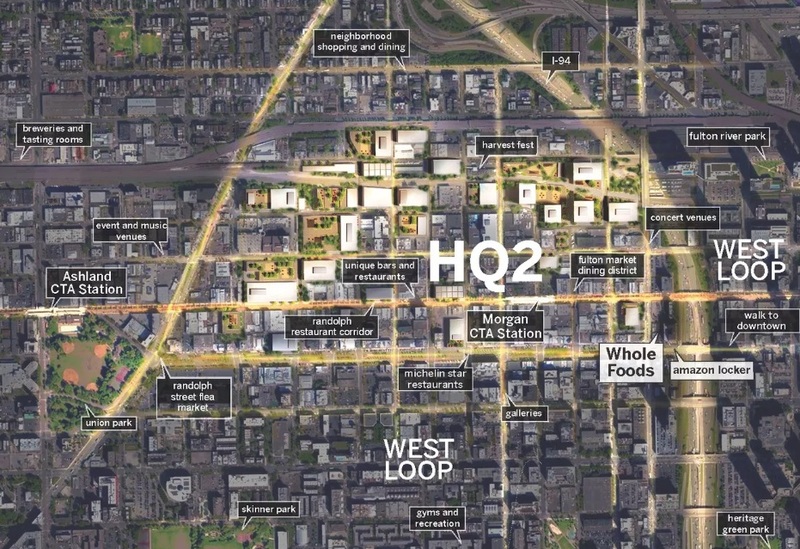 It’s a fantastic neighborhood that’s also now home to the new McDonald’s HQ, but an HQ2 tucked into the West Loop would require many more deals to develop the much greater number of properties required to fit Amazon’s new co-equal branch. Chicago’s conceptual plan for its West Loop neighborhood. And since the ease and optionality presented by the opportunity to develop a larger, single master-planned property is most likely for Amazon, we’ll focus our attention on Chicago’s best sites to fit HQ2. Chicago’s plan for its river district. Long overdue, plans to finally redevelop Chicago’s enormous Old Post Office are underway. Built in 1921, it was greatly expanded in 1932 to serve Chicago’s great postal volume driven by the successful mail-order businesses of Montgomery Ward and Sears. The Old Post Office is 14 stories tall and has 2.8 million square feet under roof. But, in 1966, the mail came to a halt when a logjam of 10 million pieces of mail clogged the system for nearly a week. There’s certainly a poetic serendipity to the idea of Amazon taking up its new HQ in one of the great halls of postal history and remaking its legacy. And there may be no larger opportunity to grab more square feet (essentially) next to such a substantial commuter rail station anywhere in North America than the Old Post Office across from Union Station. 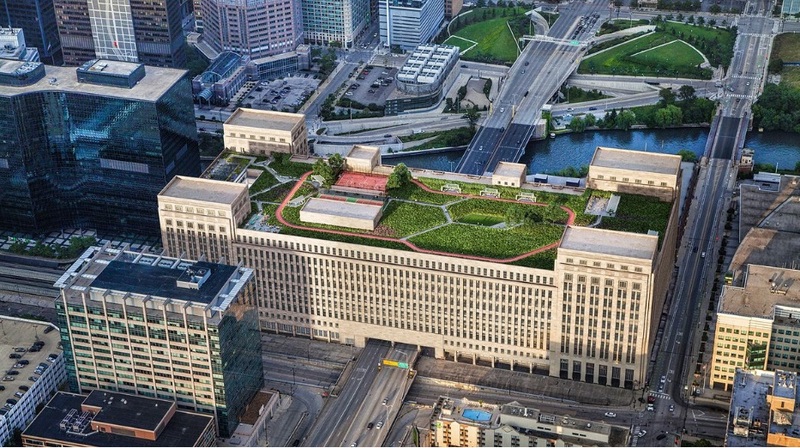 Plan to redevelop Chicago’s historic post office, including a massive green roof. North of Goose Island is another substantial and unique opportunity for Amazon HQ2, upriver along the North Branch. 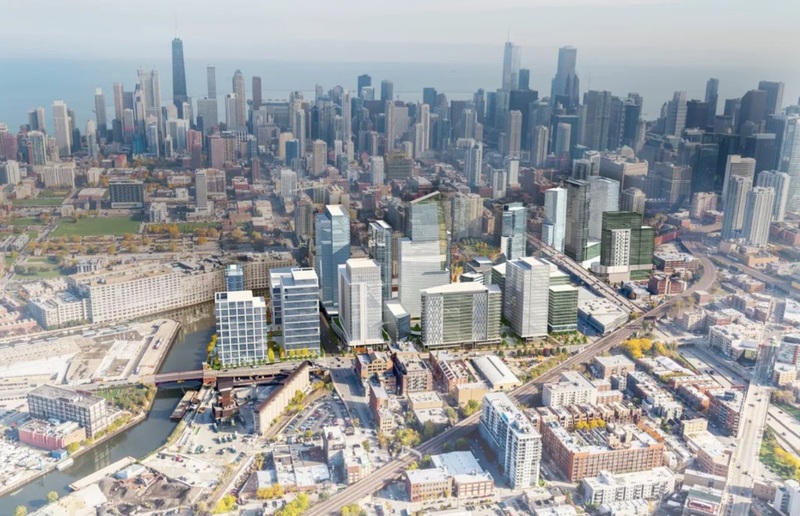 Almost in sync with Amazon dropping its HQ2 RFP, developer Sterling Bay unveiled plans for Lincoln Yards, to redevelop 70+ riverfront acres located between two of Chicago’s most iconic neighborhoods: Lincoln Park and Bucktown. 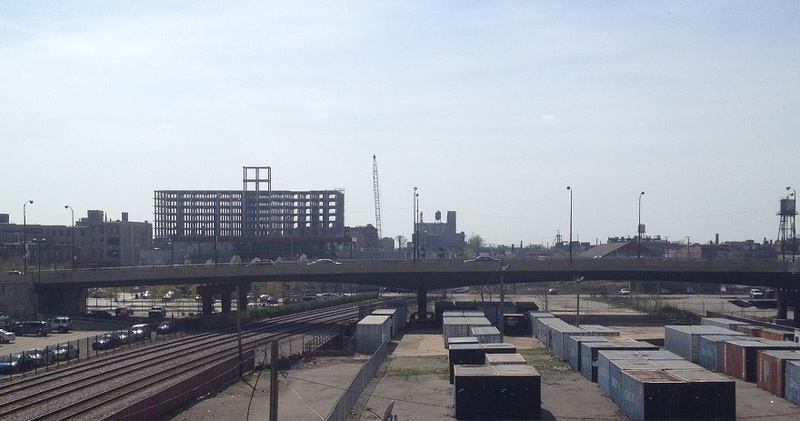 The site includes a number of parcels assembled for such a master-planned opportunity, but it includes former industrial properties such as the former A. Finkl & Sons steel plant and the city’s former Department of Fleet and Facility Management. Sterling Bay plan for Lincoln Yards. 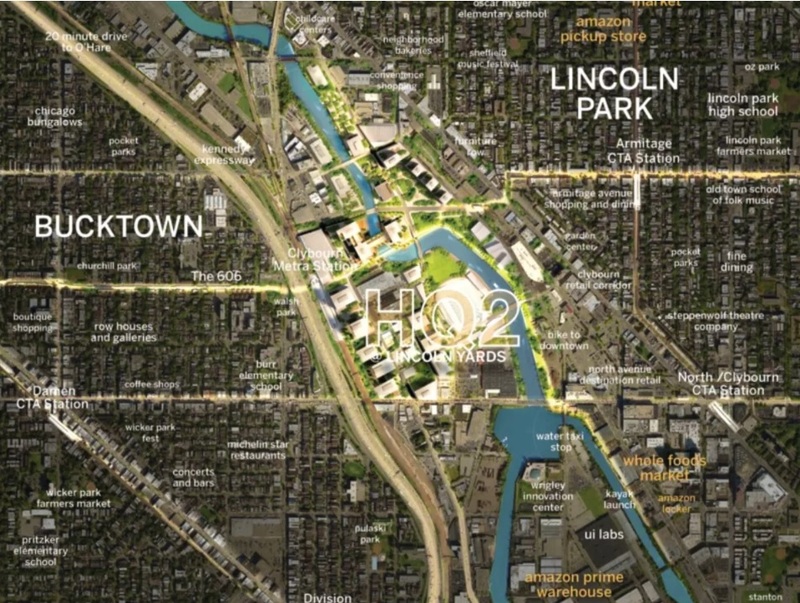 Chicago’s conceptual plan for Lincoln Yards and assets in the nearby neighborhoods. As one of the premier infill sights in the world, Lincoln Yards is fielding substantial interest. 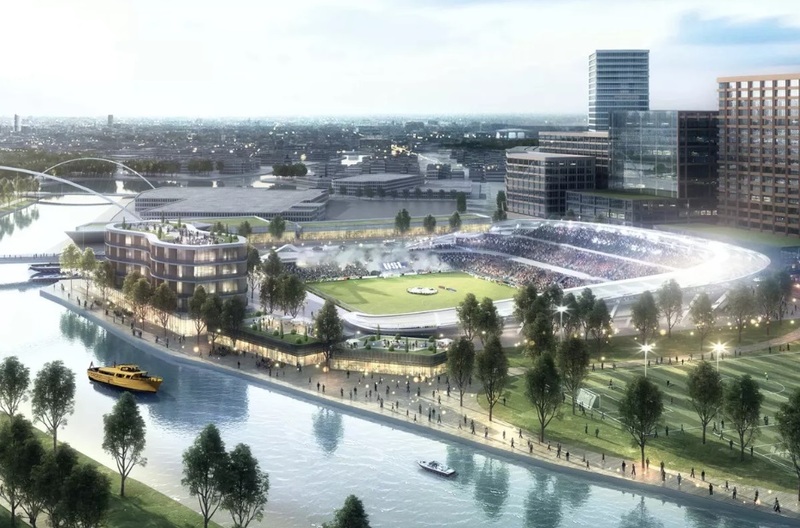 Recently, owner of the World Series Champion, Chicago Cubs Tom Ricketts formed a joint venture with developer Sterling Bay to bring a United Soccer League expansion team to Lincoln Yards. Conceptual plan for stadium at Lincoln Yards. From Columbus by car, you can reach more than a dozen universities within an hour’s drive. And yet the region has only 140,000 students. Its lower cost of living could be attractive to young talent willing to move to Columbus to help drive innovation for Amazon’s mercantile might into the next generation of Columbus’ great retail legacy.But the city’s built-environment may be unprepared to accommodate such an expansion from its current phase of development. Columbus, for example, is known to lack adequate downtown parking. As an objective front-runner and champion of corporate investment 5 years running, Chicago may be the choice Amazon’s head would make. But, as Jeff Bezos said recently, Amazon will be choosing with its heart. As the robust beating heart of the North American interior and unofficial capital of the Midwest’s vast heartland, Chicago still has a chance if Amazon’s heart is choosing. If the history of Seattle companies leaving for Chicago is any guide, however, Chicago won’t find out whether it will be HQ2’s ‘sweet home’ or not until the morning the announcement is made.